"Sanmina is pleased to be working with Primus Power to solve one of clean technology's most pressing problems�the cost-efficient storage of energy for smart grids"
Solar has become a �street-smart' investment. While conventional tidal devices resemble wind turbines constructed on the seabed, incurring enormous deployment and engineering costs, CoRMaT is a lighter and more compact device, tethered to the seabed and held in tension by a sub-surface float. Companies will be able to contribute to the transformation of the energy system in a simple and effective way. The Italian entrepreneur and PV pioneer Franco Traverso has announced the recent founding of MegaCell Srl (Italy). The new PV Company is created in order to product "BiSon", the new bifacial solar cell based on monocrystalline N-type silicon featurig high efficiency (over 20%) and low cost. 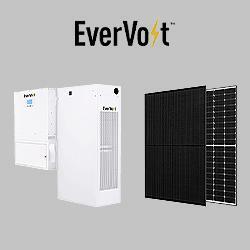 Solar Grid Storage is the leading pioneer in solar storage deployment. The company has developed an innovative, market-based model for adding large-scale battery storage to PV projects. With its solar + storage approach, the company is able to dramatically lower costs and new benefits.